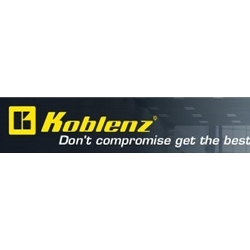 Koblenz is an international manufacturer of domestic and industrial floor care products. The company was founded on July 15, 1959 as a manufacturer of voltage regulators, motors and pumps. During the 1960´s the company added vacuum cleaners and shampoo/polishers to its product line. For over 40 years Koblenz has developed high quality Floor Care products targeted at solving real consumer needs in both the domestic and industrial markets. Koblenz currently exports product to over 25 countries throughout the world including Japan, Australia, New Zealand, Saudi Arabia, Europe, Central and South America.